Regulations are the rules that govern the everyday life of businesses and citizens. They are an essential instrument in the hands of government to promote economic growth, social welfare and environmental protection. However, regulations can also be costly and ineffective in achieving their objectives. The Regulatory Policy Outlook is the first evidence-based analysis of the progress made by countries to improve the way they regulate. 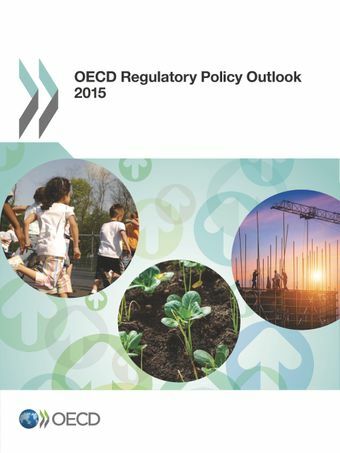 Based on a unique survey filled by all OECD countries and the European Commission, the Outlook assesses progress in establishing the conditions for good regulation. It provides unique insights into the organisation and institutional settings in countries to design, enforce and revise regulations. It uncovers the areas of the regulatory cycle that receive too limited attention from policy makers, and identifies actors who have an important part to play to improve the way regulations are developed, implemented and evaluated. It reviews the use of three critical tools of regulatory policy (Regulatory Impact Assessment, stakeholder engagement and ex post evaluation) and proposes options to use them in a more strategic manner to inform the development and delivery of regulations. Watch the Regulatory Policy Outlook 2015 video featuring OECD Secretary-General Angel Gurria, OECD Public Governance Director Rolf Alter, BIAC Secretary General, The Chair of the Regulatory Policy Committee and country officials from Iceland, Estonia, France, and Germany.